​Dr. Ian Marshall is a 2000 graduate of Washington State University. He completed a small animal medicine and surgery internship at the ﻿Western College of Veterinary Medicine. He is an experienced clinician and surgeon, with a strong interest in soft tissue and orthopedic surgery. He has pursued advanced training in dentistry, internal medicine, and surgery, and continues ongoing training. When not in the surgical suite, he can be found running up Mount Erie. Dr. Marshall is an active member of Washington State Veterinary Medical Association and American Animal Hospital Association. Dr. Bezzola is 2001 graduate of the Western College of Veterinary Medicine in Saskatchewan. She completed an internship in small animal medicine and surgery in North Carolina. Dr. Bezzola is veterinary acupuncturist. She practices both conventional and integrative medicine, depending on the needs of patient and client. She has completed advanced training in internal medicine, pain management, and physical therapy, and is committed to ongoing learning to better serve her patients. She is an active member of Washington State Veterinary Medical Association, American Association of Feline Practitioners, American Veterinary Medical Association, American Association of Veterinary Acupuncturists, and International Veterinary Acupuncture Society. Dr. Hannah Dodd is one of our associate veterinarians. Raised in Kirkland, WA and a recent graduate of WSU, Dr. Dodd's interests include pain management, senior care, and behavior. Outside of work Dr. Dodd enjoys hiking with her three dogs. Dr. Shannon Jordan is one of our associate veterinarians. She graduated from Ohio State University in 2006 Doctor of Veterinary Medicine Degree. In 2012 she earned board-certification from the American Board of Veterinary Practitioners specializing in canine and feline medicine. Dr. Jordan is a member of the American Animal Hospital Association, American Veterinary Medical Association, Washington State Veterinary Medical Association, and the American Veterinary Dental Society. Dr. Jordan enjoys the challenge of general medicine, helping pet owners provide preventive wellness care for their companion animals, and promoting the benefits of dental health. Kandy is our office manager and a receptionist. After many years in the Motel industry, Kandy's love for animals brought her to Fidalgo Animal Medical in the spring of 2006. Her animal family consists of dogs, cats, chickens and horses, and when she is not at the clinic she can be found caring for them and her small horse boarding business. In her spare time Kandy and her family enjoy trail riding and horse camping. Teresa is one of our receptionists and veterinary assistants.She moved here with her family in 1995, while her husband was in the Navy. 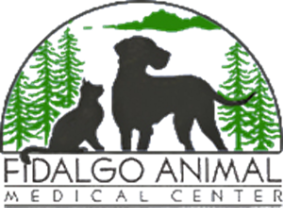 She started working at Fidalgo Animal Medical Center in 1996, with the previous owners, Dr. Bob and Dr. Bill. Being a Navy wife, she had moved around a lot, and had gained veterinary assistant experience everywhere she went. After they moved here, they decided that Anacortes was a great place to raise their girls, and so they have continued to live here. 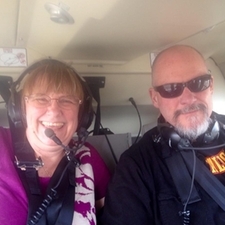 Though Teresa has done other things in her time in Anacortes, she is the longest standing current member of the FAMC staff. Shelby is one of our licensed veterinary technicians. She went to school at Yakima Valley College, graduating in 2012. She lives with two cats, and a boisterous standard poodle puppy, named Naytiri. She enjoys hiking and fishing, and her Koi pond. Kat is one of our licensed veterinary technicians and clinic coordinator. She was born and raised in Central Washington. After graduating from Bel-Rea Institute of Animal Technology in Denver, CO, she moved to Skagit County and has been working as a licensed technician since 2003. 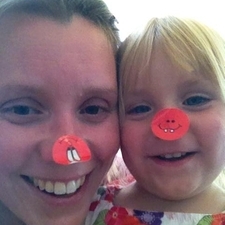 Outside of work Kat enjoys spending time with her family, including her dog Bessie. Becky is one of our licensed veterinary technicians. She is originally from Colorado and has lived on Whidbey Island since 2007. She has been working in veterinary clinics since 2009 and became a licensed technician in 2017. Becky enjoys traveling, cooking, and yoga. Jen is one of our veterinary assistants. She is from Kansas and has been working with animals since 2006. She is a newlywed, and shares her home with her husband, Atticus, a 12 year old diabetic cat and Frodo Baggins their kitten. In her off time she enjoys watching horror movies and foreign films. Sara is one of our veterinary assistants. 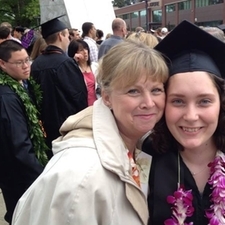 Originally from Oregon, Sara has been in Anacortes since 2011. While working in the restaurant business, Sara felt the need for a career change, and graduated from the SVC veterinary assistant program. Outside of work she enjoys spending time with her family and her pets. Karen is one of our receptionists. 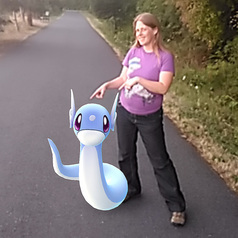 She spent several years hopping around big cities like Chicago, Portland, and Seattle before settling in Anacortes. She has previously worked in veterinary reception and was happy to find a position with FAMC. In her off time, she enjoys drawing, cartoons, and mushroom hunting with her partner Nikolas. Samm is one of our veterinary assistant/receptionists. She was raised in Wenatchee, but moved to Anacortes for high school. Samm graduated from Skagit Valley College with her Veterinary Assisting Certificate in 2018. She had 3 days: Moe who is 14, Toez who is 7 and Piper who is 8 month old. When Samm isn't at work she loves being outside kayaking and hiking. 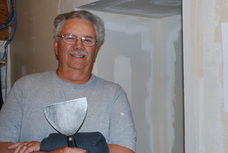 Bud is our repairman, handyman, finds-a-solution-to-everything man. He keeps the clinic structurally sound, so we can concentrate on our patients.